Many foreign-trained architects, upon arrival in Canada, are faced with the harsh reality of qualification assessment. Many of these professionals, including myself, have gone through a very extensive and rigorous education and training system to get our qualifications in their countries. And although that might be a little frustrating for some, the reality is: It doesn’t really matter how good your school is, you need to show that your architecture degree meets the Canadian standards. The purpose of this article is to guide you through that process and tell you a little bit more about my personal experience doing the same. The Canadian Architectural Certification Board (CACB) is responsible for assessing and certifying the academic qualifications of individuals holding a professional degree or diploma in architecture prior to applying for registration with the provincial associations. They are also responsible for the accreditation of the Canadian schools of architecture. If you studied in Canada and your school is accredited by the CACB, you will get your certificate immediately after you complete your studies. You can then apply for an Internship with your provincial association. If you studied abroad, like me, you are basically left with three options: BEFA Certification, the RAIC Syllabus and Academic Certification of your degree. You have practiced as a licensed/registered architect in your country of origin. You are able to prove that you have had at least 7 years of post-licensure experience in the last 12 years. You will have to obtain at least 6 months of experience in Canada before applying. That experience must have been obtained under the supervision of a registered/licensed architect in Canada. Your certification will then be reviewed by the CACB through and Assessment Interview. For more information regarding the Canadian Standard of Practice click here. The Royal Architectural Institute of Canada offers an alternative education program that is accredited by the CACB and equivalent to a University degree in Architecture. If you complete this program you will be able to then apply for Internship with your provincial association. Keep in mind that this Syllabus was created for those who find it impossible to attend a School of Architecture. For more information about these programs, please visit the RAIC Syllabus website. This is the most common route for certification that is used for foreign candidates as most people don’t meet the BEFA requirements. The process will require you to gather a significant amount of documents, translate and notarize them (if required) and submit a complete package for the CACB to review if your academic degree meets Canadian standards. Official University Calendar describing the architecture program and the content of every individual course. This description should contain the number of hours of lectures, the number of studio hours spent on each course, the number of terms in an academic year and the number of weeks of studies per term. A certified true copy of the official translation of the University Calendar if the original document is not in English or French. List of design projects completed during your architecture program with a brief description of each project in a maximum of 4 pages. Portfolio of academic design. This portfolio is not mandatory but definitely recommended in order to expedite the process. After gathering all these documents, you should format the application to be 8½ X 11″ to 11″ X 17″ folded into 8½ X 11”. Mechanically binding with a soft cover. I know that this sounds like a lot but, take a deep breath, you can do this. At the time of my application, I had no chance to apply under the BEFA program and I didn’t want to go through the RAIC Syllabus , so I was left with the Academic Certification process. If I can give you any advice based on my experience, it would be: Start now. I constantly delayed doing it for many reasons (mostly laziness), and now regret it. Don’t think too much about how hard it might be, and get started. Because all my documents were in Portuguese, I had to translate hundreds of pages of information and that required a substantial financial effort. If you need to translate a big chunk of documents you might be able to reach an agreement on the fee. If you need a very good Portuguese translator I will be able to give you some options. The most time-consuming part is the University Calendar as you will need to request a certified true copy from your University. In my case, I requested the documents via phone call and then picked them up during a vacation. It takes some time to produce and each page needs to be stamped and signed by the institution. In my case, I was looking at hundreds of pages that described all the contents of each course, hours lectured, assignments, etc. All those documents will have to be translated and certified if they are not in English or French. It took me about 6 months to be able to gather everything, and I was committed to getting this done. So take your time and start requesting the information you need. The only real hiccup I had with my process was proof of proficiency with English. Although I am a Canadian citizen and use English on a daily basis, I had to prove that I had had English in school for many years in Portugal, as it is mandatory in most European countries. So be prepared to be asked to complete a TOEFL or ESL/EFL, IELTS test. If there are other “loopholes” that the CACB identifies in your education, you might be asked to complete the RAIC Syllabus. Fortunately, that all worked out and after about 3 months my application was reviewed and approved. Let me just add that all the staff at the CACB were very helpful and were always available to answer my questions along the way. They are there to help, so feel free to call or email any questions you might have. I hope this article motivates you to get started and can help you understand the process at a high level. I know that for most people it is repeating something that you had already gone through to become an Architect, but try your best to take it as a learning opportunity and the outcome with benefit your lives both personally and professionally. Any comments or questions are more than welcome. Newer Post Travelling and Architecture	Older Post Laneway Housing – Toronto Laneways are about to change. Your welcome, Diana. My pleasure. Excellent and accurate writeup. Thanks for this. Please note, it is now an option to submit portfolios in USB drives. Hello Eric. I’m on the same situation that you were. I think I can apply for the BEFA method of certification but when you talk about the prove that you have had at least 7 years of post-licensure experience in the last 12 years, are you referrenig to a document of the Portuguese Order or other document? Thank you so mutch for any help and congratulations for your post. Hi Tiago. Thank you for your comment. To apply under the BEFA program you will have to prove that you have at least 7 years of post-licensure experience in the last 12 years. You local architecture association would have to issue proof that you have been actively working as a registered architect during that time. You can support that documentation with your own documents and letters issued by employers that will help prove that you meet those requirements. 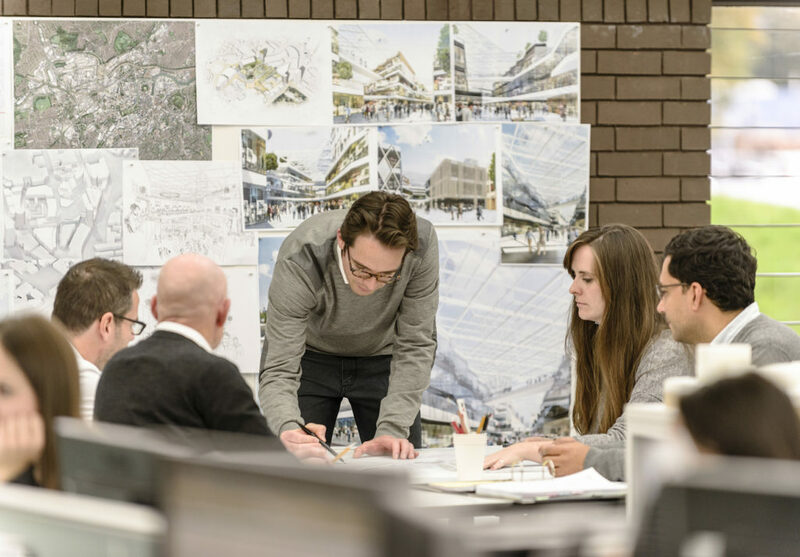 Please note that you will only be eligible to apply once you complete 6 months working under the supervision of a registered architect in Ontario.